Welcome back! We’ve got one week left until the big day, and I’ve written, oh, what? Four posts so far this year? You can quite fairly call this blog a dud for 2017, but hey, let’s soldier on anyhow, shall we? 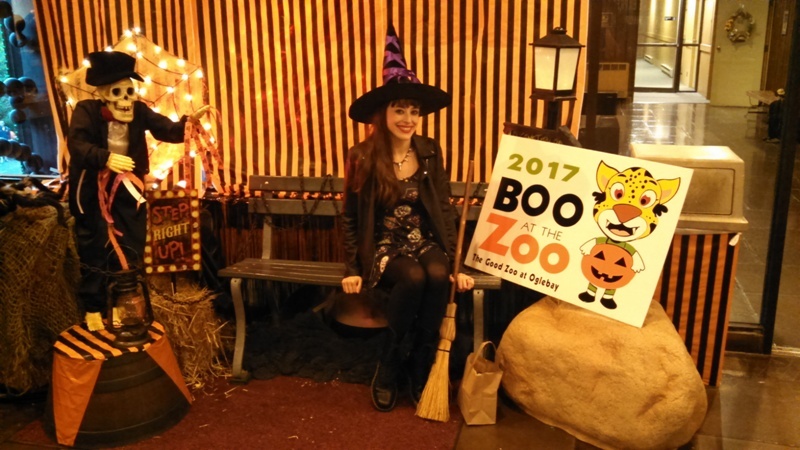 Today, we’re back at the events pictorials with some images from Boo at the Good Zoo. 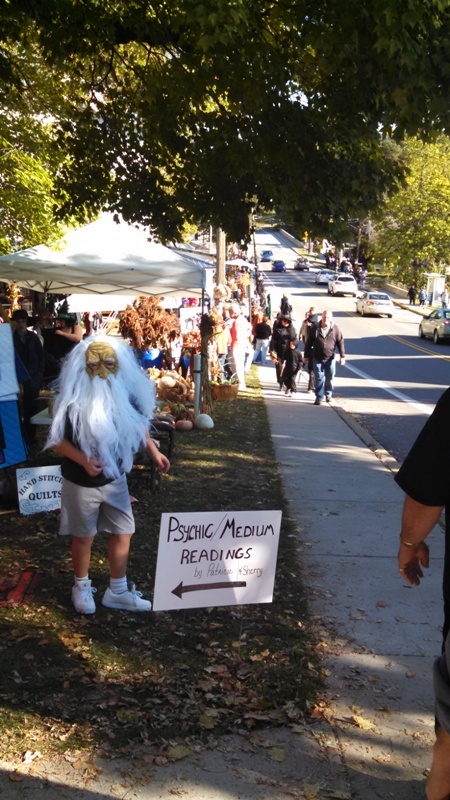 This is an annual Trick or Treat event held at Oglebay Park in Wheeling every year. We actually attended this way earlier in the month, but I’ve been busy behind-the-scenes with writing and fretting and other generally poisonous pursuits, so I hadn’t a chance to post these yet. Also, to answer any possible questions up front: yes, I did dress up, and yes, I did indeed Trick or Treat. Thanks for asking! There should probably be shame in this, but there is not. At least not on my part. If you want to feel shame for me, feel free. I’ll be over here munching on what’s left of my candy. So let’s get started, because these pictures won’t caption themselves! 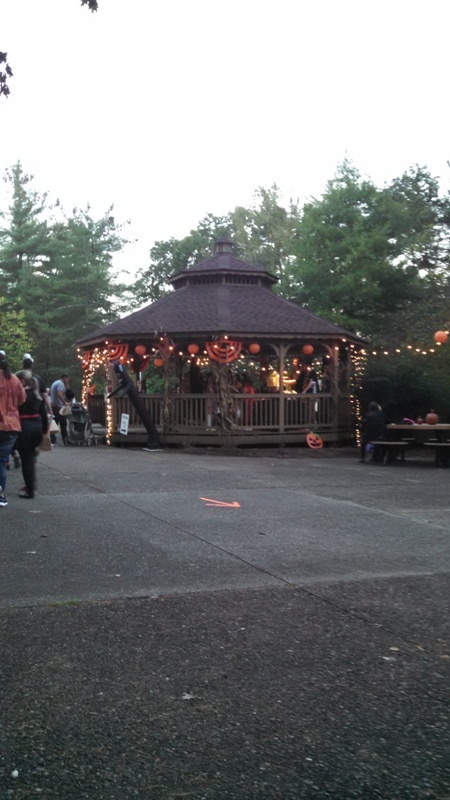 A bedecked gazebo at the start of our trick or treat journey. Please note that the arrow is clearly pointing the way that we aren’t facing. We’re Halloween rebels like that. 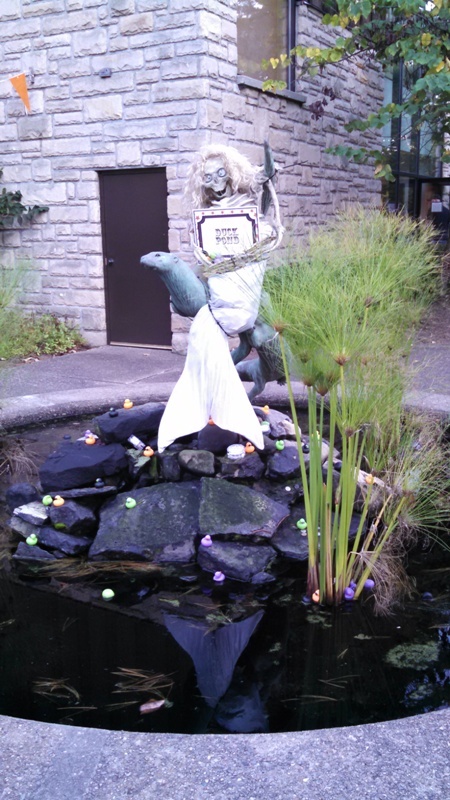 The smiley witch is petting the giant smiley turtle statue. The turtle’s dressed up this year too, masquerading as a quite friendly vampire bat. Everybody’s getting in on the Halloween fun! 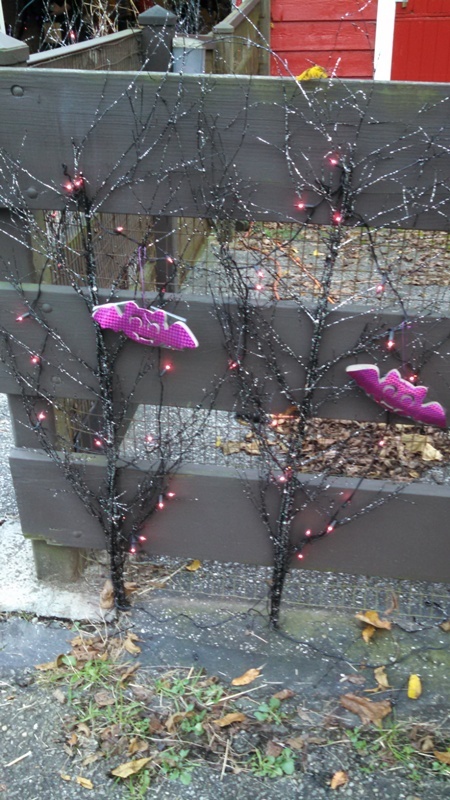 Beware the bats, lurking among the trees. 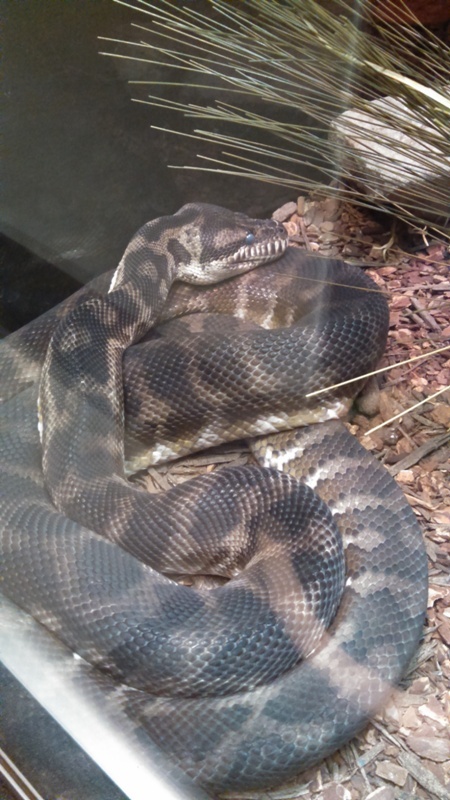 As previously mentioned (like 50 words ago), this event is held at a zoo, so here’s a picture of a snake to prove there are indeed animals there. 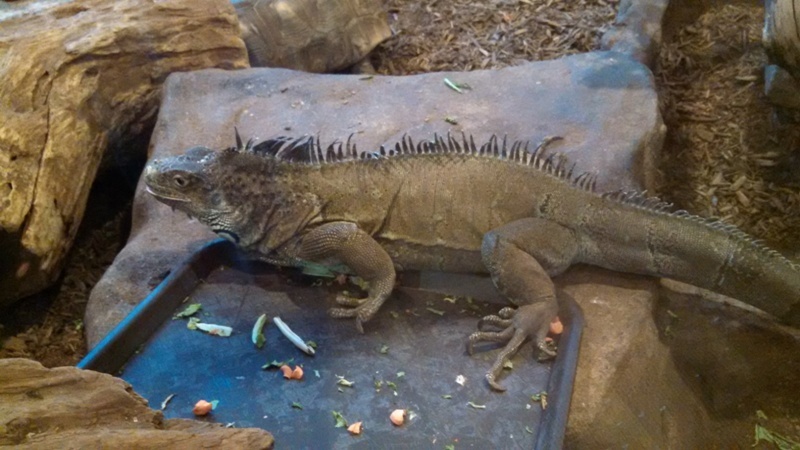 And here’s an iguana too. There’s actually a ton of animals at the Good Zoo, but many of the outside exhibits were empty. Since the weather is turning chilly, the animals were hanging out in their interior enclosures, enjoying their autumn in peace. Good for them! This was basically me after the event, collapsed in a heap from too much sugar and too much Halloween fun. Not going to lie: this evening was all about the candy and me having an excuse to wear a pointy hat and carry a broomstick in public. Not that I even really need an excuse, but still. Navigating the corn maze. Bill told me he’d come in and find me if I got lost. 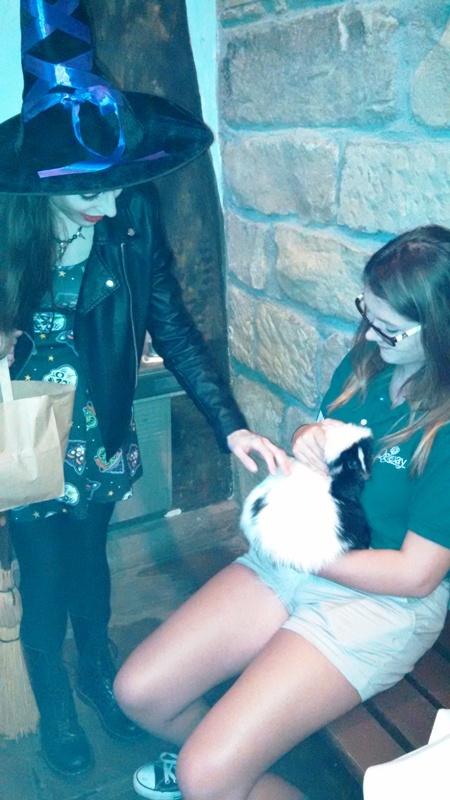 The color balance on this image is totally off (and oddly blue), but here I am, petting a skunk. He seemed quite apathetic to me and other visitors. Better than being angry at us, I suppose. A bewitched writer hamming it up. Basically, this is every day of my life. So that’s all I’ve got today! My plan is to post tomorrow, since it’s about time we send out our McQueen Halloween cards. 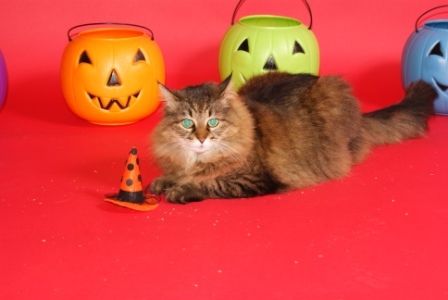 After all, nothing says 60 Days of Halloween like a curmudgeonly cat! This entry was posted in 2017, Events on October 24, 2017 by 60daysofhalloween. In case you didn’t know, today is Tuesday, which means let’s resurrect that old 60 Days of Halloween tradition of Tasty Tuesday and feature a recipe tutorial! Mostly, I’m just doing this because I feel like people are probably tired of seeing pictures from events. I’m starting to feel like that lame old person who makes everyone sit through projector slideshows of their visit to the Grand Canyon. I mean, at least yesterday had owls, so that’s a little better from a Halloween perspective, but still. People used to frequent this blog to see me fail at arts and crafts and cooking, and darn it, I truly believe I should give them what they came for! 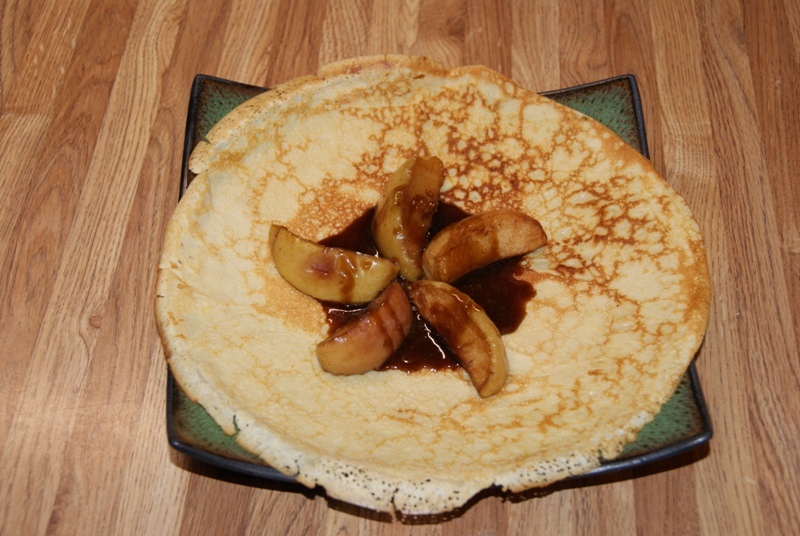 So caramel apple crepes it is! Here in our household, we’ve been on a crepes kick for a couple months now. On our way to and from Providence in August, we stopped outside of Harrisburg for breakfast at Helena’s Chocolate Cafe and Creperie, an awesome little place that is highly recommended if you’re ever in the area. Consequently, crepes remind me in an oddly tangential way of our trip to NecronomiCon, which was a major highlight of the summer (I did a fiction reading there and was on panels and for a brief, shining moment, looked like a totally legit writer!). 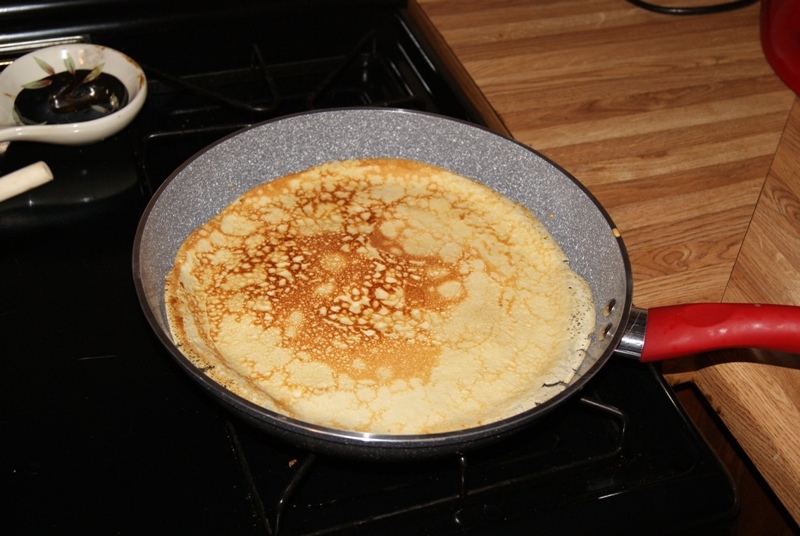 There, now you have my thinking as to why we’re cooking crepes for the blog. Aren’t you so glad you clicked through to this article? Anyhow, let’s get down to this, shall we? The recipes we used today can be found here and here. 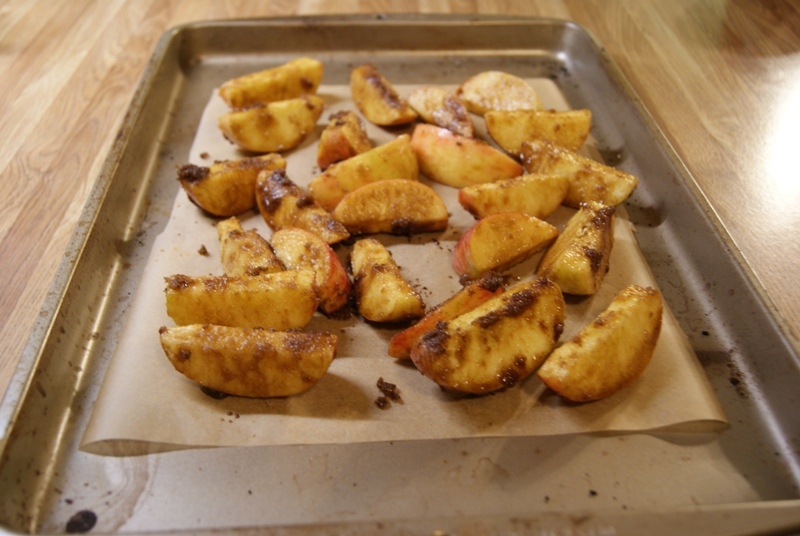 As for the apples, we just cut those up and put them in the oven. Easy enough. Our artistic apple shot of the day. 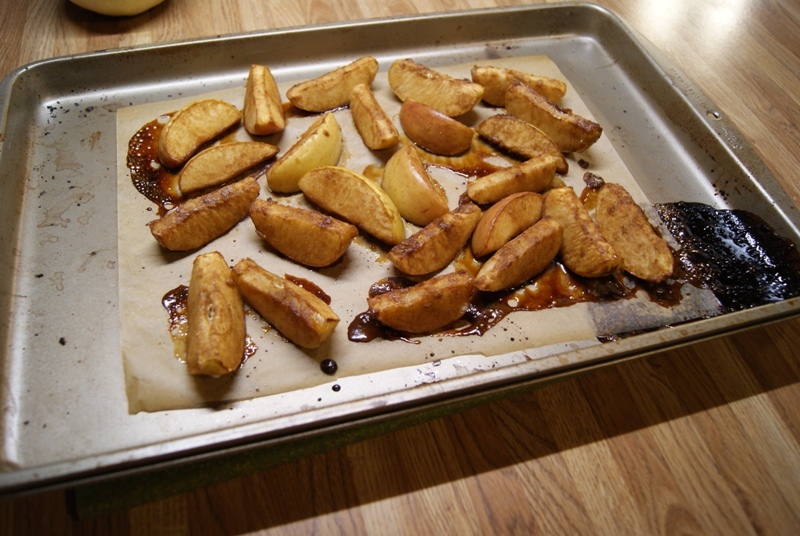 … and put them on a tray in the oven. Hooray! When it comes out of the oven, it looks disgusting and will also be a profound mess to clean up. Good times abound! I’m not going to walk you through mixing up crepes. 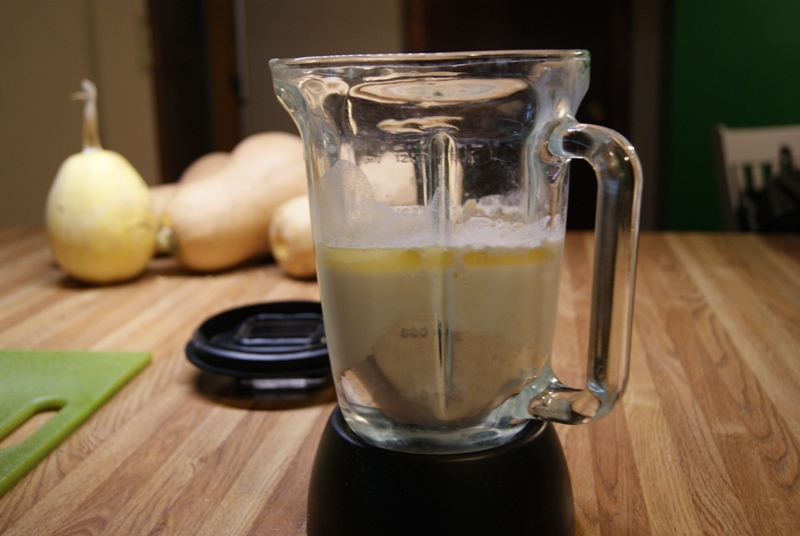 It’s basically the same as mixing up pancakes except in this recipe, you put the mix in a blender, as seen above. And yes, that is our Waring blender, and yes, I do have a Waring blender because of the lyric in Warren Zevon’s “Poor, Poor Pitiful Me.” Thanks for asking! So here I am, officially making crepes. As you can see, I did get dressed up for the occasion. 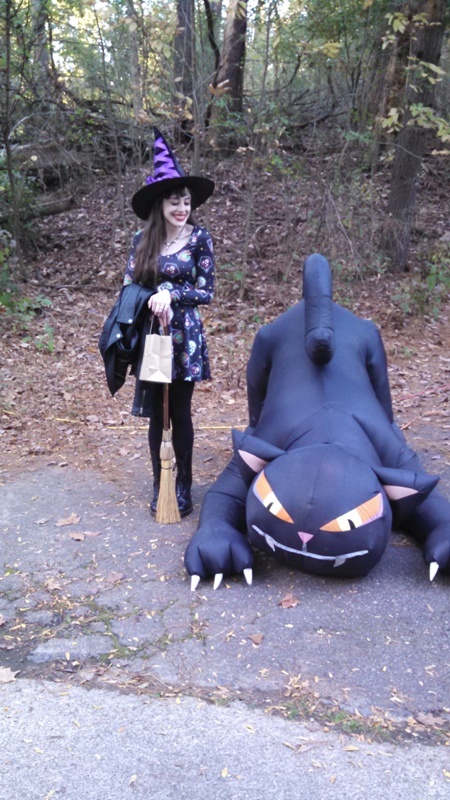 That’s a Halloween dress, after all, and it deserves its due on a Halloween site! Please note that the window behind me does not look outside like a normal window should, but instead just looks into another room in our house (in this case, a sun room that doubles as Bill’s pottery studio). In our kitchen, we have not one, but TWO windows that simply look out on other parts of the house (the other window gives us a great shot of our garage!). Because the layout of our house, in fact, represents the strange inner-workings of our warped psyches! 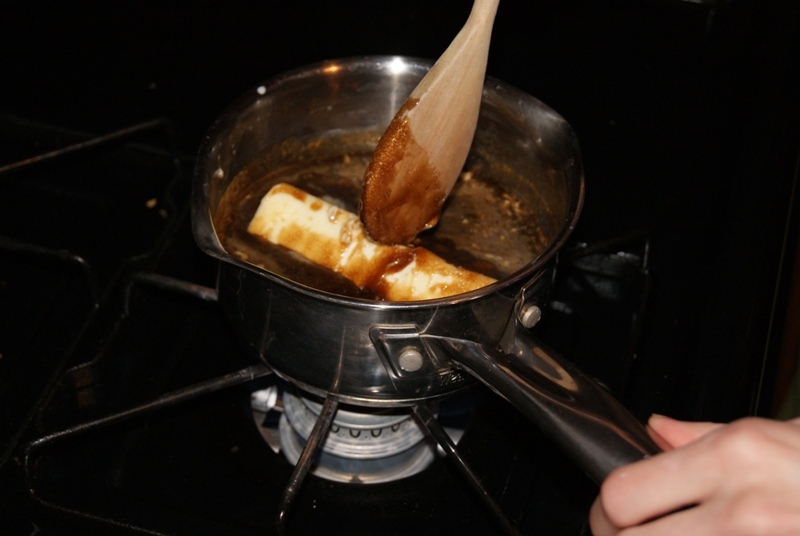 Making the caramel sauce. It probably would have been easier if I’d cut up the butter beforehand, but whatever. I’m a Halloween cooking rebel like that. A crepe close-up. 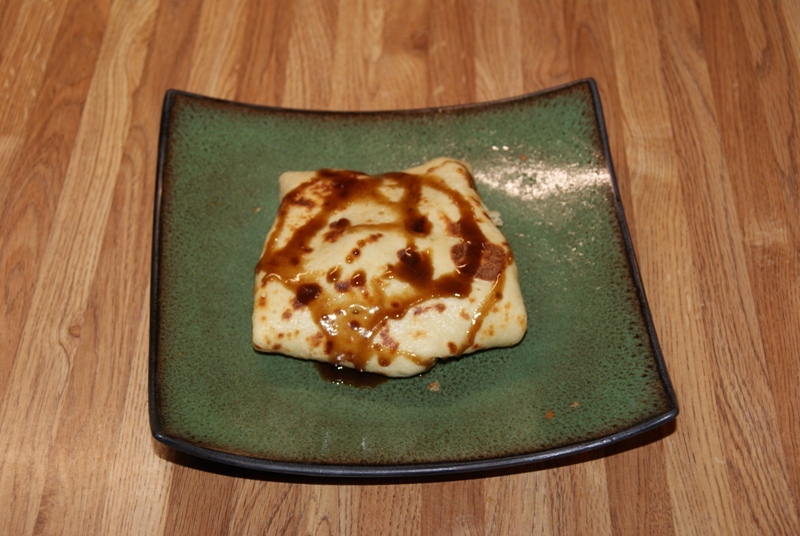 Truly, this is a pretty darn good recipe and is highly recommended if the crepe mood ever strikes you. 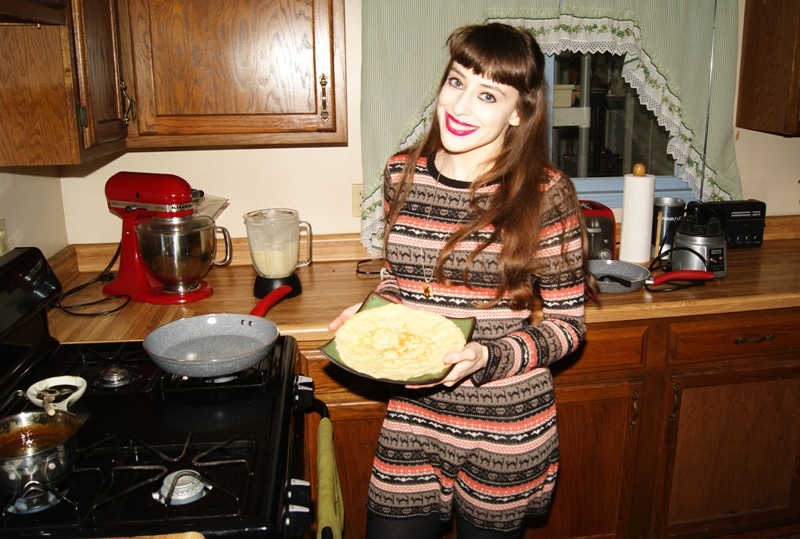 A smug blogger with her smug crepe. We folded our crepe up, which sort of makes it look like some weird sandwich wrap. It might not look the prettiest here, but it does taste pretty good! So that’s our blog for today! Tomorrow, we’ll probably get back to our elderly person slideshow, er, I mean, our pictorials from events. You’ve been warned. 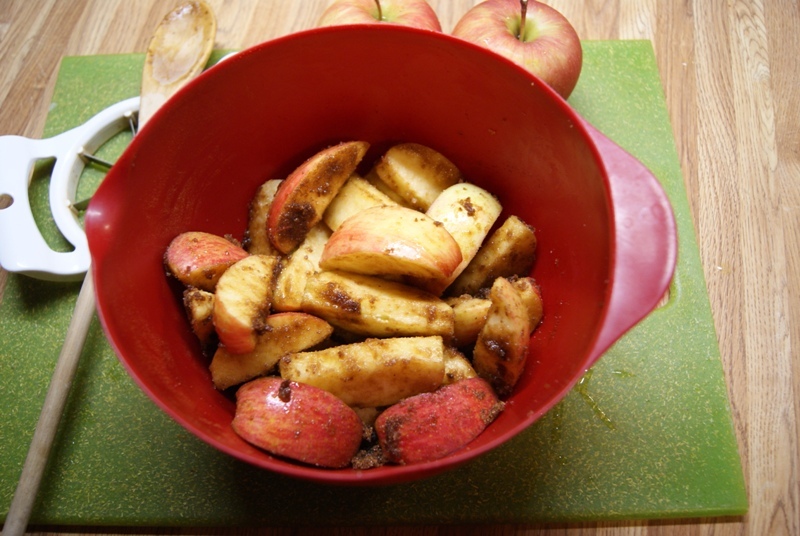 This entry was posted in 2017, Recipes on October 17, 2017 by 60daysofhalloween. 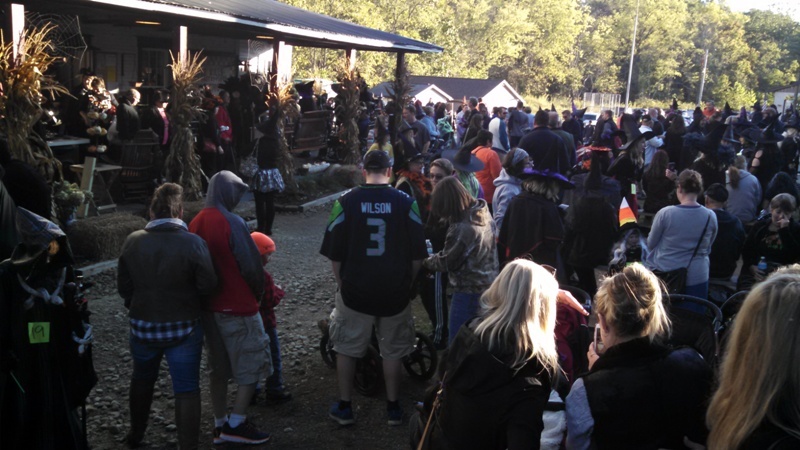 Over this past weekend, Bill and I kicked our Halloween shenanigans into high gear and attended a bunch of fun, fall events. I’ll be posting about it here all this week along with the annual mailing of the McQueen Halloween cards (I teased the picture of the card on social media, and I got the impression that I almost confused some people. Like I could practically hear people asking, why is your cat hanging out on a Twin Peaks set? Just because, that’s why.). But for now, let’s start where every conversation should begin: with raptors. Of the flying variety, not the clever girl variety (though those kind of raptors are obviously cool too). So yesterday, I had brunch with owls. Okay, the owls did not sit at the brunch table with us (though owls are invited to my brunch table anytime). 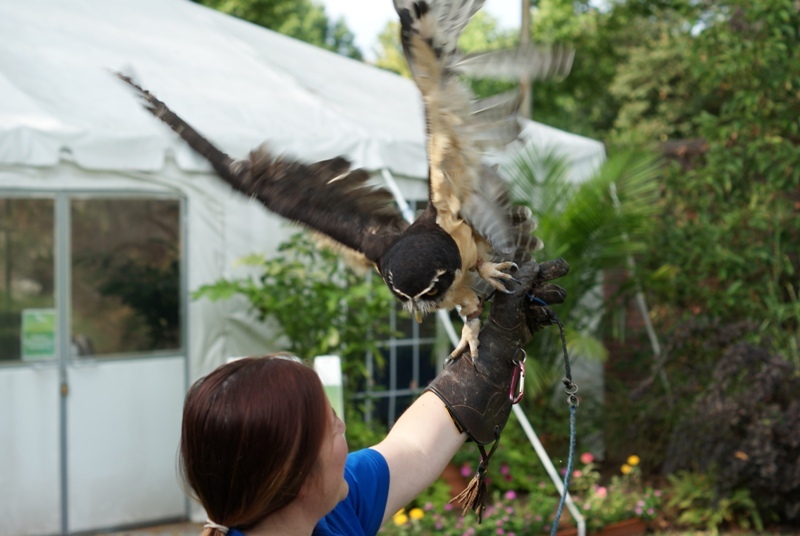 We went to the National Aviary in Pittsburgh for their owl brunch, an event we somehow missed in 2016 and thus vowed to attend this year. 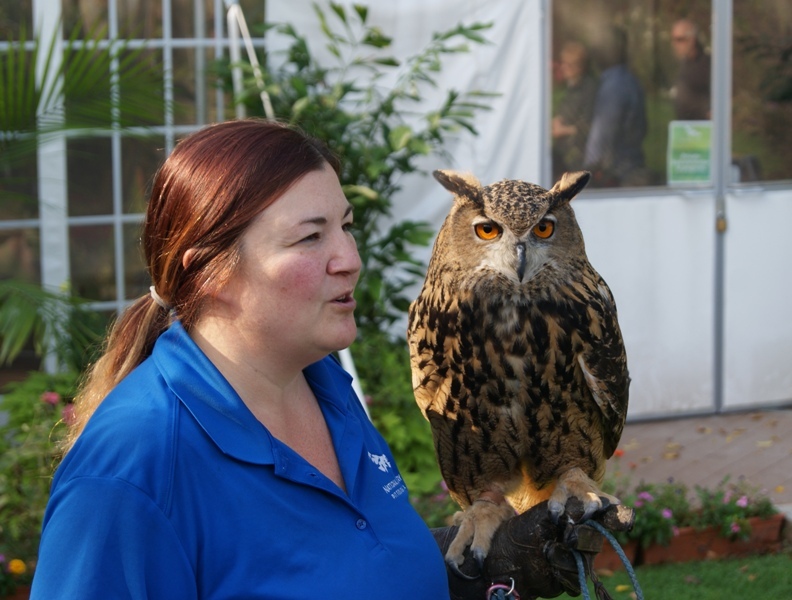 The festivities started with the handlers bringing out a variety of owls and introducing them to us. 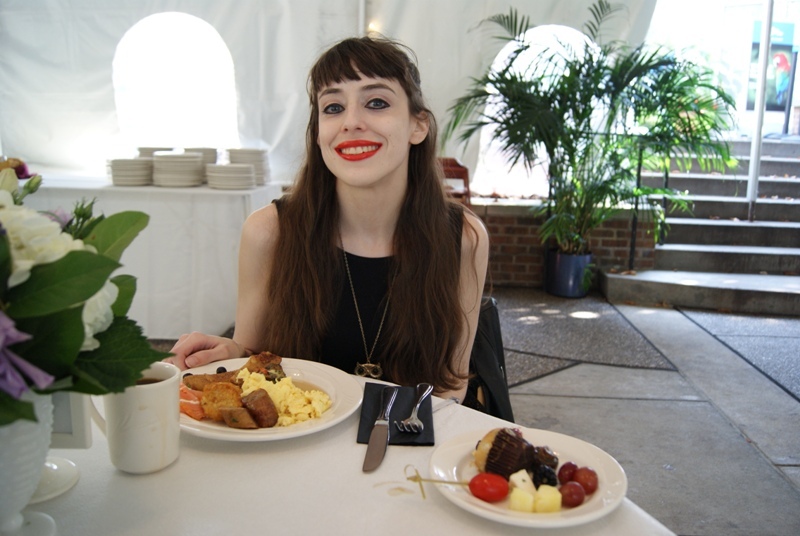 Then when the owls had returned to their respective perches, we dined in the special event tent on a ton of awesome brunchy foods. So technically, it was a brunch that was owl-adjacent. Still very cool in this blogger’s opinion. And probably better for the owls who likely wouldn’t have appreciated all the egg and chicken dishes being offered on the menu. Anyhow, today I have pictures of owls to share, which is actually like a weird tic I’ve developed at this point. 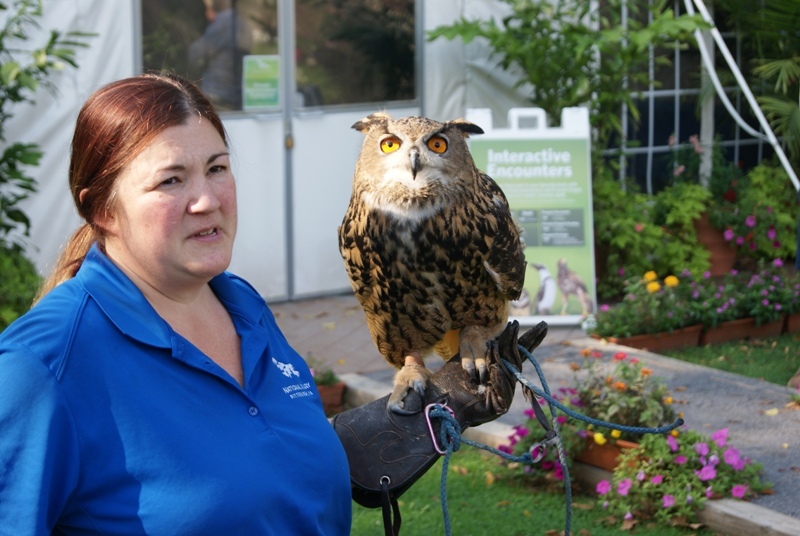 Seriously, if you’ve followed this site with any regularity over the years or followed my social media at all, you’ll know I seem to always find a reason to post new “Gwendolyn hanging out with owls” pictures every few months. But hey, so far as strange habits go, it’s a pretty cool one in my opinion. So onward! All in all, however, this beautiful boy seemed quite happy to be hanging out with people. He was probably equally happy when he got to return to his home inside. Owls like to sleep in on Sundays too, I’d wager. 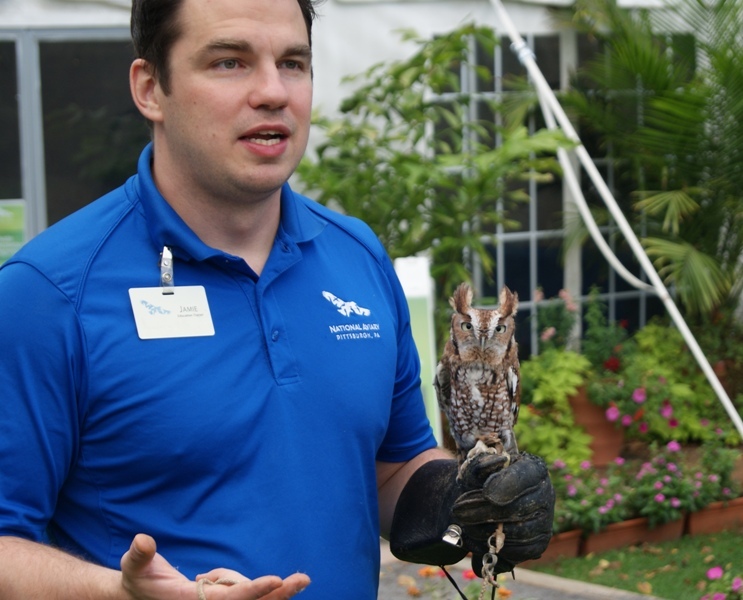 This is Cypress, the totally awesome and quite pint-sized eastern screech owl. 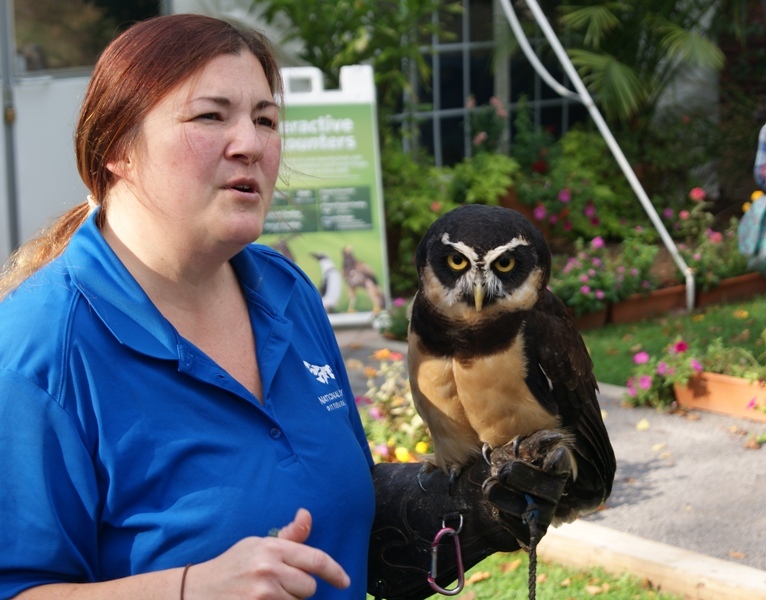 If you’ve been a fan of 60 Days of Halloween over the years, you’ll know that my all-time favorite screech owl was Barkley, the adorable one-eyed darling who was the screech owl ambassador until his retirement a couple years ago. While I love Cypress a ton, I still miss Barkley. Never could I hope to discover a more perfect spirit animal than that little owl. Pumpkin being her typically curious and gorgeous self. Goodbye for this year, Pumpkin! We hope to see you again soon! Just as the brunch was getting started, another handler brought out this little beauty. 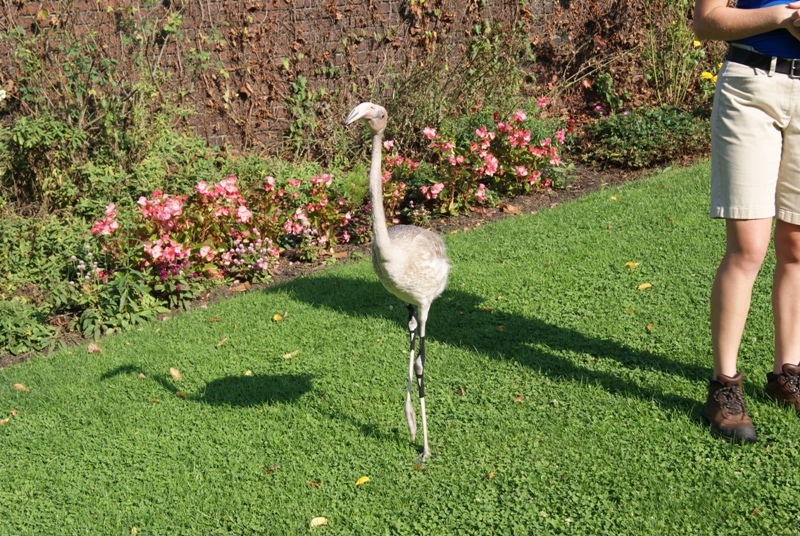 This is the baby flamingo, almost entirely grown up, though not quite her pink self yet. 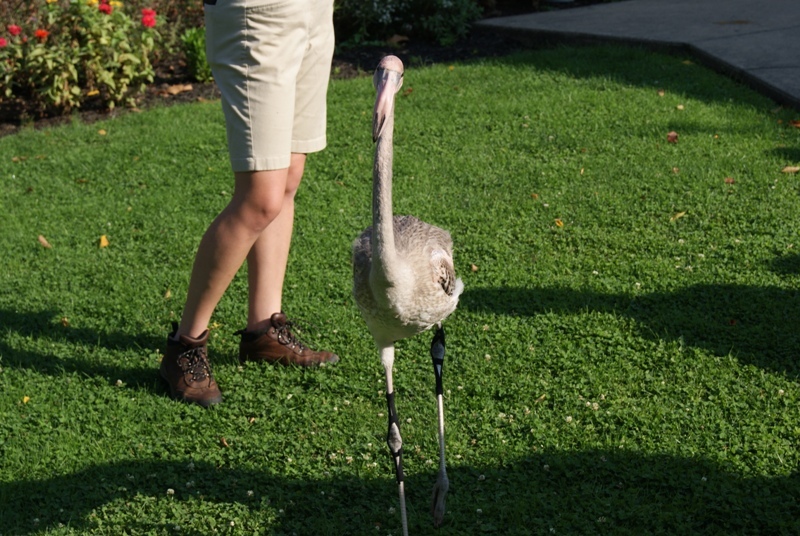 Several of the other guests went ahead inside for brunch, but Bill and I hung outside for a while to learn about the baby flamingo. After hatching just a few months ago, she’s doing well, and she’s obviously quite adorable too. 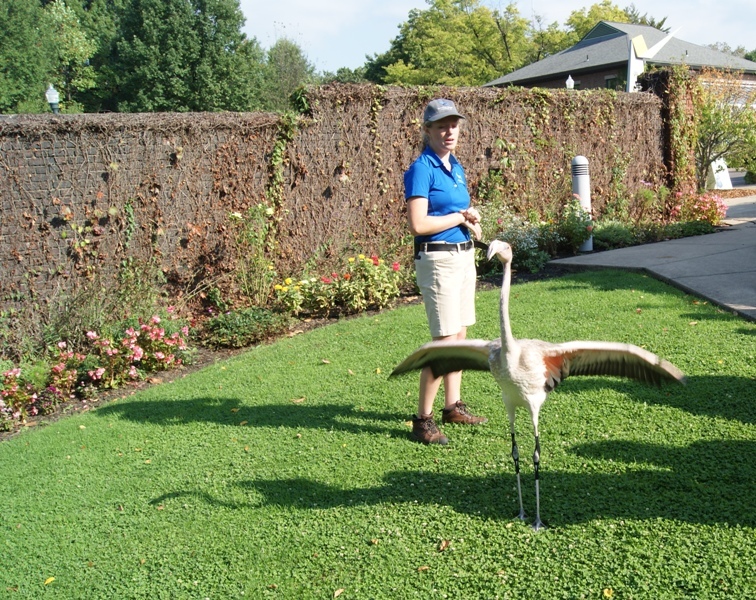 One more flamingo picture. 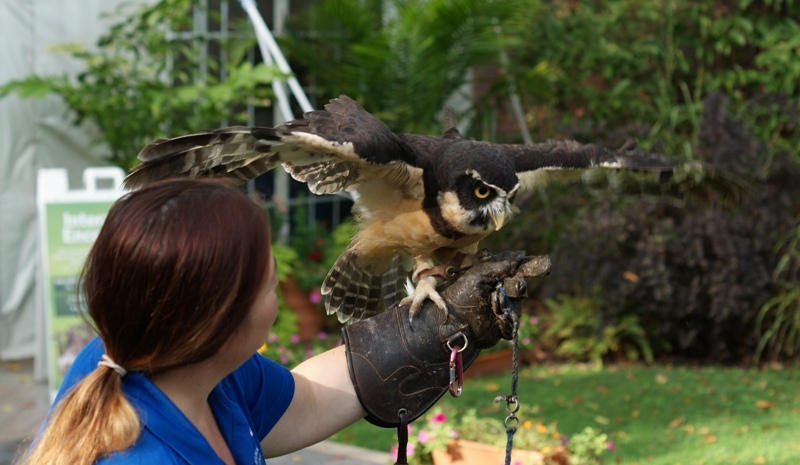 Because it’s not just the owls that have all the fun at the Aviary! And finally a picture of the brunch itself! Please note also that I’m looking quite content in this picture. That’s because I just hung out with owls. 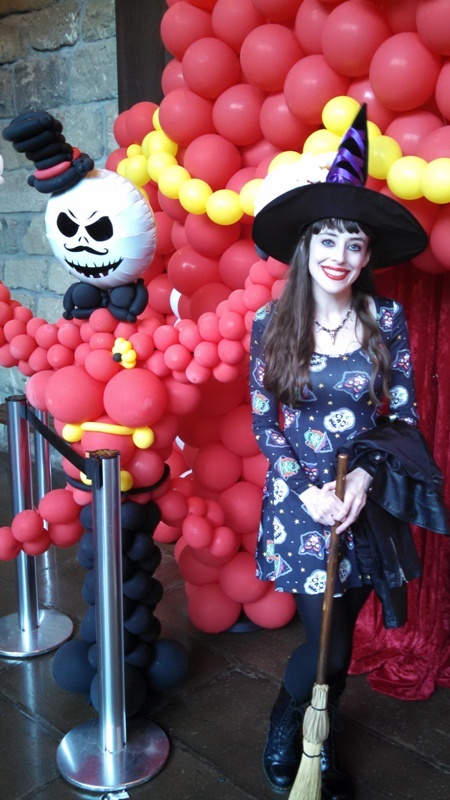 Not much placates an eccentric Halloween blogger more than that! It should go without saying at this point, but I adore the National Aviary. They do such great work at education and conservation, and in a world filled with more uncertainty than ever, it’s comforting to know there are organizations such as this that are looking out for all members of our fragile ecosystem. 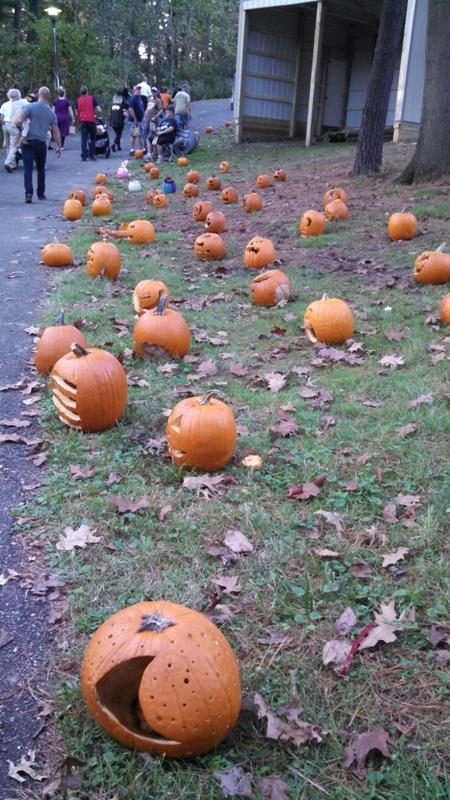 Happy Halloween, and head on back here tomorrow for more fall hijinks! 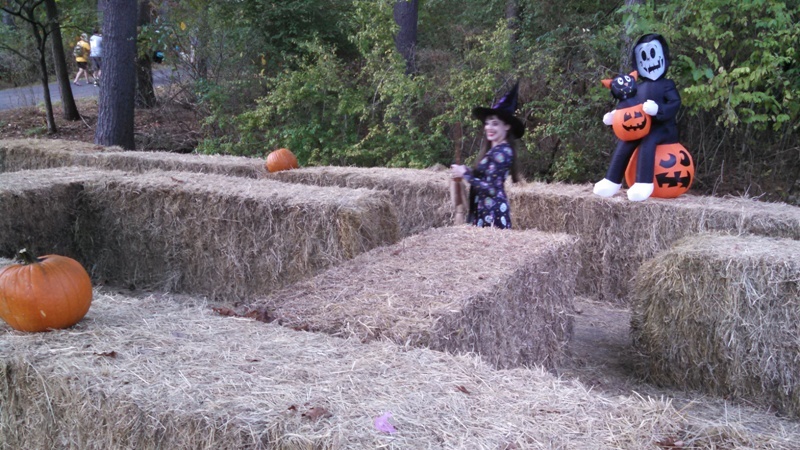 This entry was posted in 2017, Events on October 16, 2017 by 60daysofhalloween. But as I’m sitting here writing this post, it’s almost sunset on Wednesday evening, and outside, the world is a perfect golden yellow. Crows are calling to each other in the trees, and my cat is watching out the window with all the quiet foreboding of the best little familiar a witch could want. In short, other than the too-high temperatures, it’s an ideal autumn night. And I try to tell myself that that’s not just something; it’s everything. Life is only made up of moments, and at the very least, this is a good one. So today, I’m lighting a candle, and returning to my usual Halloween antics. Maybe I’ll be posting every day between now and October 31st; maybe I’ll only be posting sporadically. But either way, it’s time to get back to it in some form, because this blog has brought me joy in the past, and hey, maybe it will bring you a spot of Samhain joy too. And the world probably needs a little more joy right now. At some point, in the next few weeks, I hope to once again start failing at crafts and recipes, but for now, another pictorial will have to do. And it’s a pretty important pictorial so far as I’m concerned: the annual picking of the apples! A big event for Bill and me each year is our trip to the orchard. It’s probably my favorite tradition, just because it’s one that he and I have done together for so long now, and it feels like ours. So join us, as Bill hides behind the camera taking pictures and I pose in front of the camera being my ridiculous self! 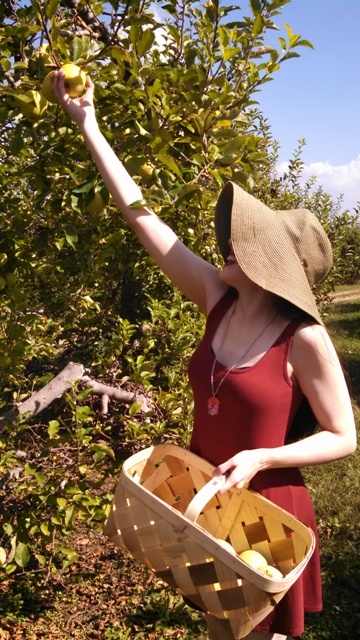 Now it’s important to show at least one piece of photographic evidence of me picking an actual apple. 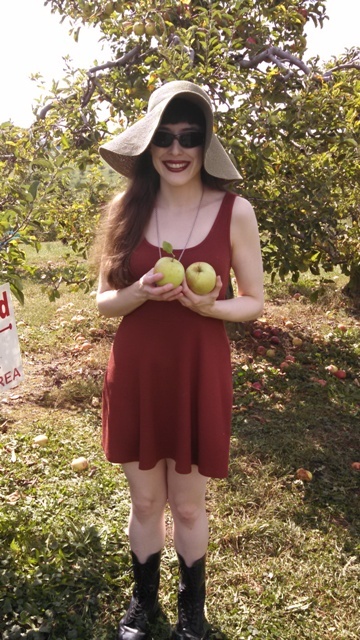 Otherwise, I could have just posed next to some trees and then bought the apples at the store. Really, you don’t know! I could be tricky like that. 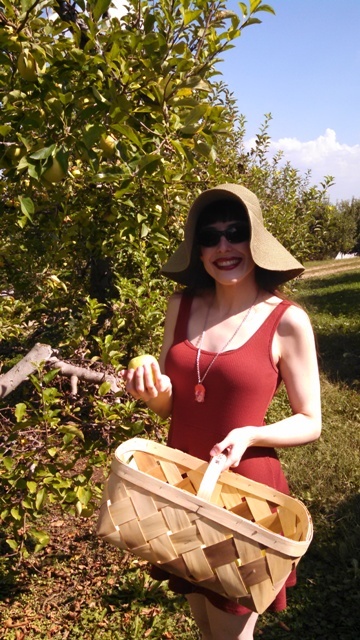 A smiling, smug blogger thinking she’s so special, picking apples and whatnot. 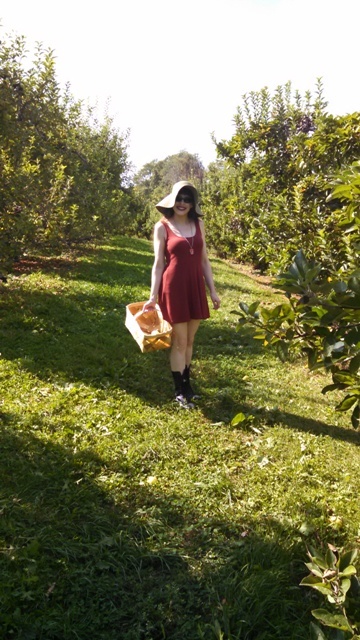 This is by far my favorite picture of the bunch, primarily because I look like I’ve suddenly become lost in the apple orchard. I mean, it’s not like I have a sign nearby to help direct me or anything. But worry not! 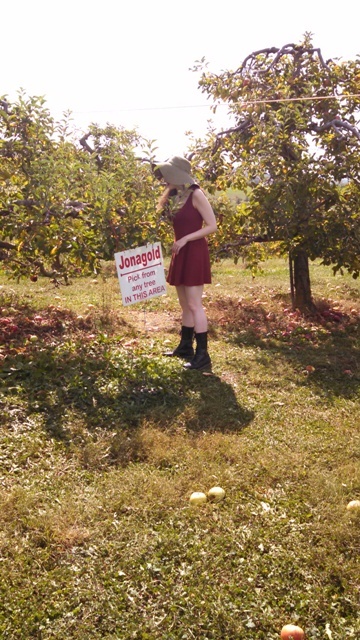 I fought my way out of the Jonagolds and lived to fight another day (and eat an apple pie too). The girl in the Doc Martens won’t let anything keep her down! 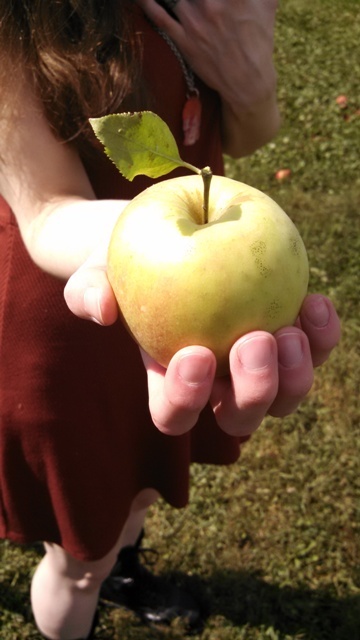 Anyhow, in all seriousness, I do really, really love this orchard, so if you’re ever in the Pittsburgh area, be sure to check out Simmons Farm. 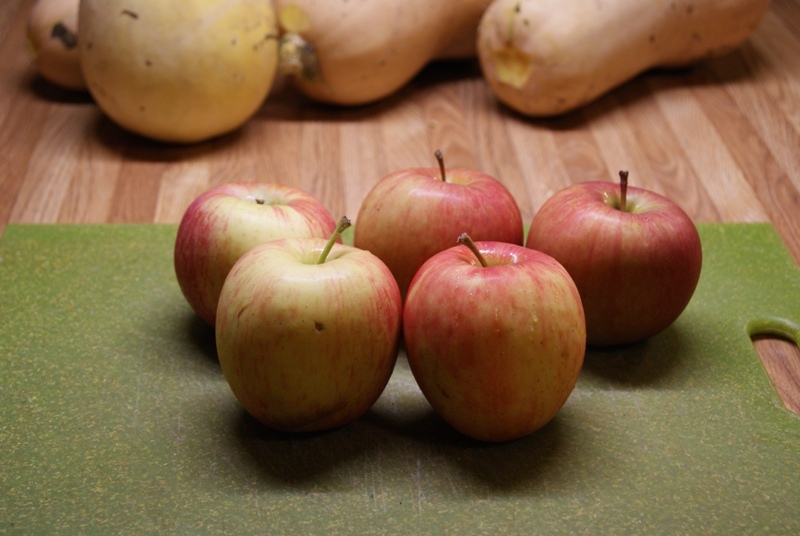 They’re super friendly, and the apples are super groovy. What’s not to love? So that’s the blog today! I’m hoping to get another one posted tomorrow, but I’m not promising anything at this point. This entry was posted in 2017, Events on October 12, 2017 by 60daysofhalloween. And finally, we’re back and officially launching this year’s 60 Days of Halloween! Took us long enough, right? Anyhow, let’s get down to it! 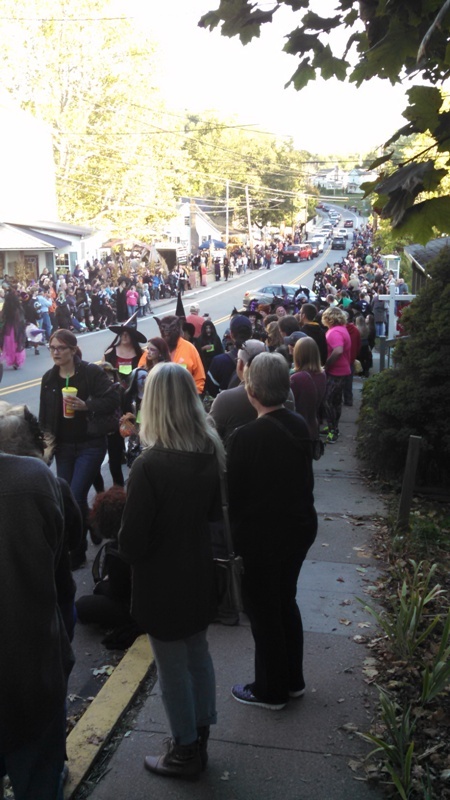 Last night, we made our yearly pilgrimage to Volant, Pennsylvania for the annual Witches Night Out! True to its name, there were lots of witches on site, including me! Now I had initially planned to open this year’s blog festivities with a craft or some other how-to. I always think it’s cooler to try to start the year with something that people can follow along with at home if they want to (not that I think most people actually do the crafts or recipes I post, but hey). But as you can clearly see, this bunch of witchy pictures won out instead. 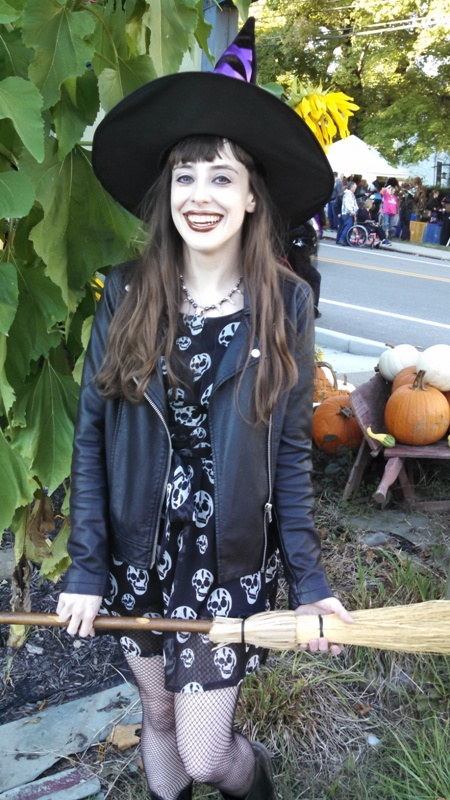 Since it’s already October, I figure it’s better to launch something on this website for 2017, or else it will be Halloween, and I’ll still just be sitting behind my computer, shrugging and saying things like “Meh.” Somebody hit this blogger with a magic wand and give her some Samhain energy, STAT! So a blog pictorial it is! And this event is a particularly fun one for pictures. 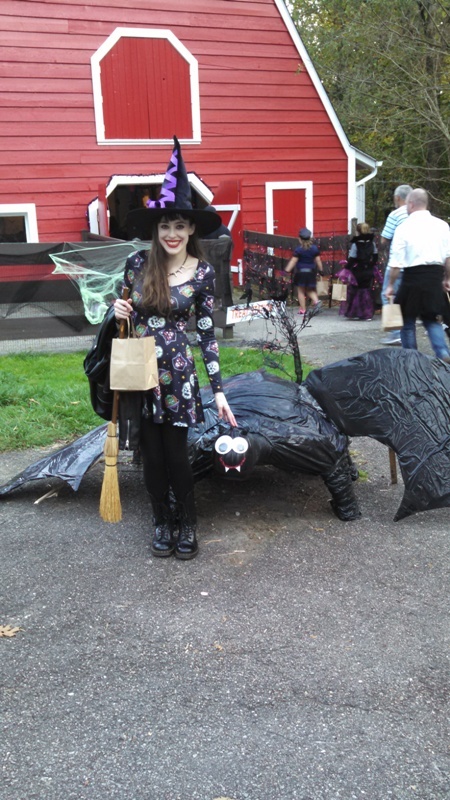 Witches Night Out is among my favorite outings each autumn, mostly because there are witches, and celebrating witches is fun. 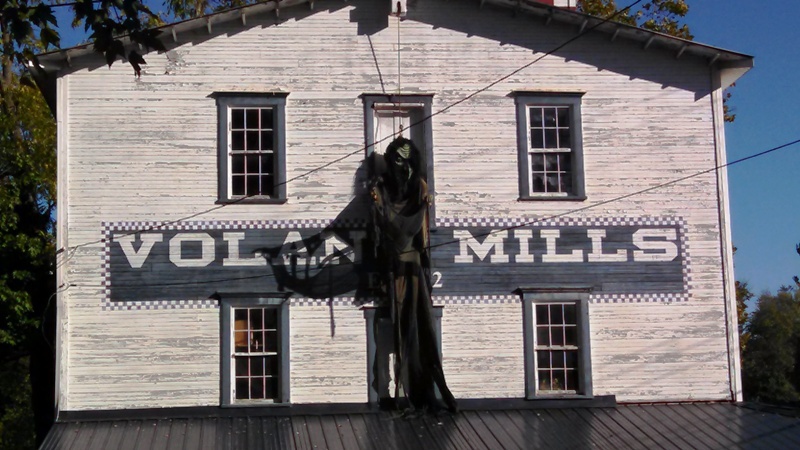 Even giant, weird witches lurking from buildings! Volant events are always surprisingly eclectic affairs. During our three-hour stay in town, we went from hanging out at the Knockin’ Noggin Cidery and Winery to noshing on Amish donuts to strolling past tarot card readers and psychics. Booze, sweets, and the occult, together just like they should always be! Once the festivities got going, all the witches came together to do some serious magical damage. *insert evil cackling* Okay, not really. They just came together for a parade down Main Street. 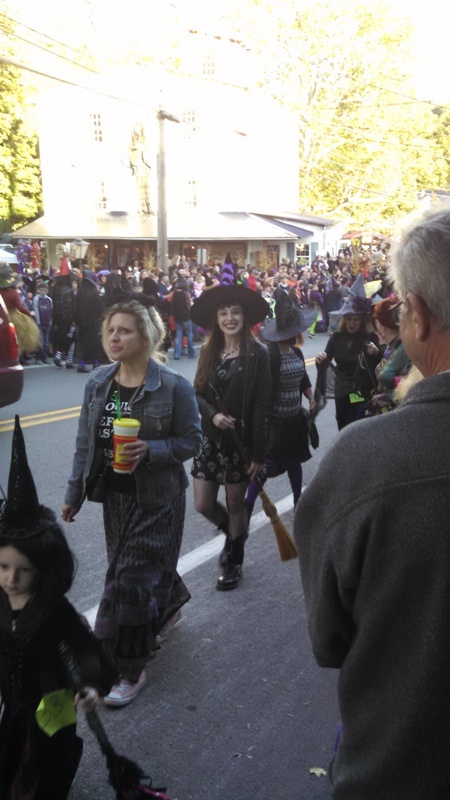 And just like last year, I once again walked in the Witch Parade! 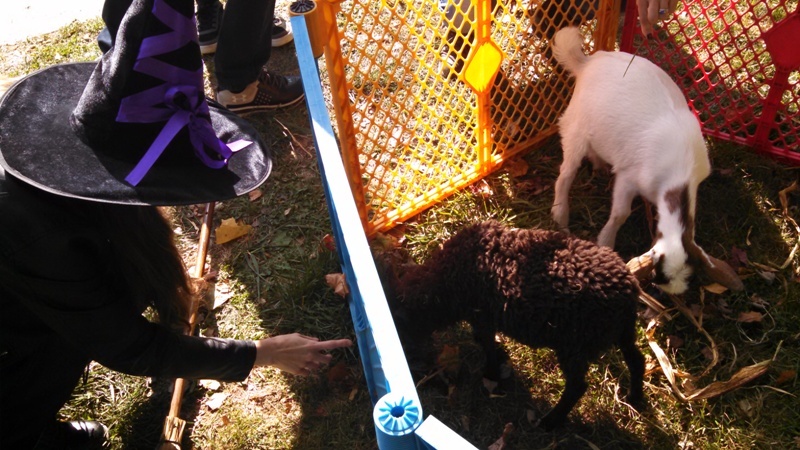 Along with meeting the aforementioned goats, it was definitely a highlight of my day. Because it’s the little things in life, like taking a jaunt through town in your big, pointy black hat while carrying your broomstick. 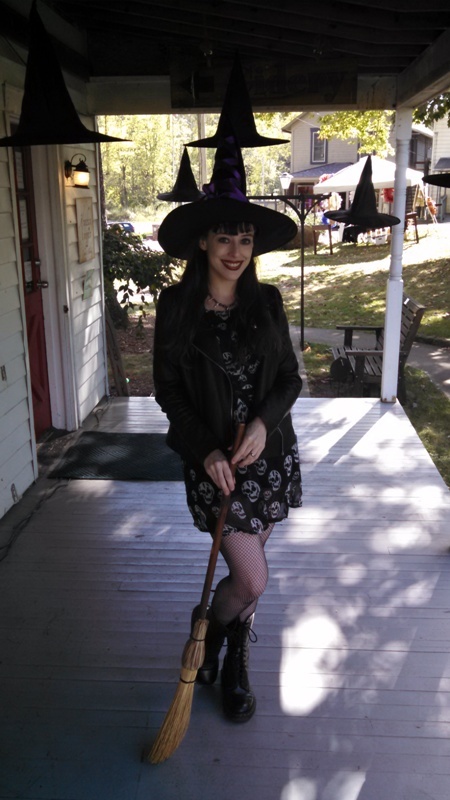 And finally, one more picture of me as a bedecked conjurer, this time among sunflowers and gourds! I’m especially (and almost oddly) pallid in this image, but at least I look happy. And how I could I not be happy, given all the witches and generally fun and festive shenanigans in Volant? So there we have it, the first official post from this year’s 60 Days of Halloween! And it’s only a month late! Head on back here tomorrow for more Halloween hijinks! 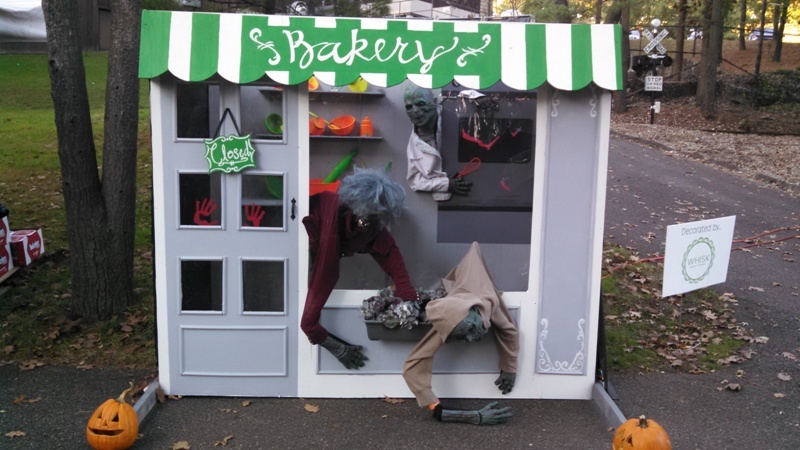 This entry was posted in 2017, Events on October 1, 2017 by 60daysofhalloween. As friends and family have been pointing out over the last few weeks, 60 Days of Halloween is about to commence for the sixth year. Six years! What started out of an obvious love of the Samhain season (as well as a commitment to make myself write every day for two months) has definitely taken on a life of its own over the previous few years. So in that spirit, it’s time for some changes, starting with the very page that you’re reading right now. I’ve moved this year’s posts to a WordPress platform. This will hopefully make it quicker and easier to upload pictures and update daily blogs. Key word, hopefully. I’ll wait and see. I’ve loved the WordPress platform for my author blog, so I’m optimistic that it will work fine for this site too. As for the regular site, it’s a complete and utter mess right now. (I blame McQueen, whose catnip-crazed face appears above and as the main image on the site at the moment.) Okay, fine, it’s not that scamp of a feline’s fault; it’s mine. I’m archiving previous years, and trying to wrangle them into some semblance of order. Hopefully, by the end of October, I’ll be able to get those organized in some halfway decent manner, and readers will be able to sort through past events and crafts by category, rather than just scrolling endlessly through former posts. Again, we’ll see. And finally (and this is quite a case of burying the lede, but whatever), there will be another very major change to the site. The official 60 Days celebration will span the eponymous 60 days starting today and ending on Halloween, but I’m probably not going to be posting every day. Yeah, believe me, I know: it’s a total ripoff. The site’s called 60 Days of Halloween, after all. But on a positive note, my fiction writing career is taking up much more of my time than in past years, so I need to keep my primary focus there. I have a number of solicited short stories that I need to write (including one that I’m polishing up RIGHT NOW), and that’s in addition to a novel to finish, and a novella and a collection to promote. My editors—all of whom I truly adore, because in a cruel publishing world, I have somehow managed against all odds to find the best editors ever—are wonderfully patient people, but when there are deadlines looming, I can’t let them down. So if a pumpkin has to wait to be carved, or an autumnal recipe needs to be put off until the next day, that’s what this crazy little writer is going to do. So what exactly does that mean? Moreover, it will be the same old, same old here. I will be posting here tons between now and October 31st. If all goes well, we’ll be brunching with owls, visiting a candlelit island by boat, taking a class on how to paint a creepy and famous cat, attending a bewitching trick or treat at a zoo, and of course, failing at plenty of crafts and recipes! So mostly, it will be like every other year, just with breathers here and there for Bill and me to not lose our minds. My goal is at least 30 days of posts, and I will probably break down and post more than that. But I do need that flexibility this year. Think of it as a “Best of 60 Days” rather than the stricter 60 Days of Halloween format from the past. There is probably not one single person who is as disappointed in this choice as me. I’ve wrestled for months with my lack of time (and honestly, my lack of good time management skills), and this is the only way that I could do it this year. But there will still be Halloween shenanigans galore, and that’s good for anyone who actually reads this blog. Like you, whoever you are, fair reader! I appreciate the support of those who do frequent this blog, and I hope to bring you plenty of ghoulish, fun antics in 2017, the same as previous years! Here’s to fall and pumpkins and general creepiness! Hooray! This entry was posted in 2017, Updates and tagged McQueen on September 2, 2017 by 60daysofhalloween.